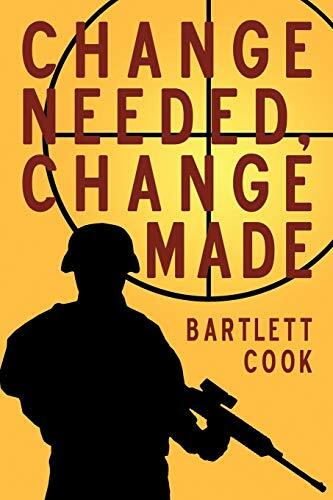 Change Needed, Change Made is a novel about a recently retired Navy Seal. He is thrust into a sad family tragedy caused by our dysfunctional society. Because of his Navy Seal training, he is able to resolve this issue that had become a national problem. Later in this fast-moving and romantic adventure, he solves many other national problems as well. I know that you will enjoy the hero of this story, Mike Woods, and mentally cheer him on as he solves one national disaster after another. Bartlett Cook worked at a Fortune 500 company for 33 years. He was promoted many times. His last management responsibility was as a Vice President. He is a veteran of the United States Navy. He is retired and living in Florida. He enjoys writing, travel and being with family and friends. Bartlett is a very concerned citizen.